Growing in Grace Podcast: 473. If Not Under the Commands, How Are We Guided? 473. 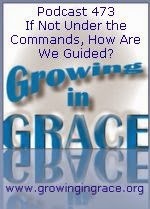 If Not Under the Commands, How Are We Guided? The scriptures declare that Christ was the end of the law for righteousness to everyone who believes. Paul stated we are dead to the Mosaic law. So a question that is often asked is "What do we use as a moral compass or how are we guided if we don't have those rules to live by?" 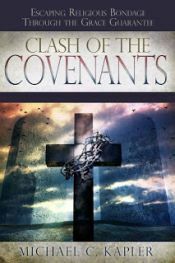 The New Covenant has provided us with an entirely different ministry than what the law brought to Israel. As believers in Christ, what is it we're under that Paul contrasted with the former covenant of commands that have been removed? Join us for another good news conversation on this week's Growing in Grace podcast. So what does it mean then in the New Testament that if we love Jesus we would keep his commandments? Jesus' commandments are not the Ten Commandments or any other part of the 613 commandments that made up the Old Covenant law. Jesus' commandments were to believe in Him and to love one another as He has loved. The wonderful thing about what Jesus said is that it wasn't "If you say you love me then you'd better prove it by keeping my commandments! It was "If you love me, keep my commandments." We love Him because He first loved us, so knowing His love will bring out a deeper love for Him and will naturally result in us loving one another. It's not a "should." It's a loving response to His goodness and love.